Keto and alcohol, are they a good mix? Many people who are on a keto diet are wondering if there is some way they can mix keto and alcohol and still get all the benefits of eating according to a keto diet. 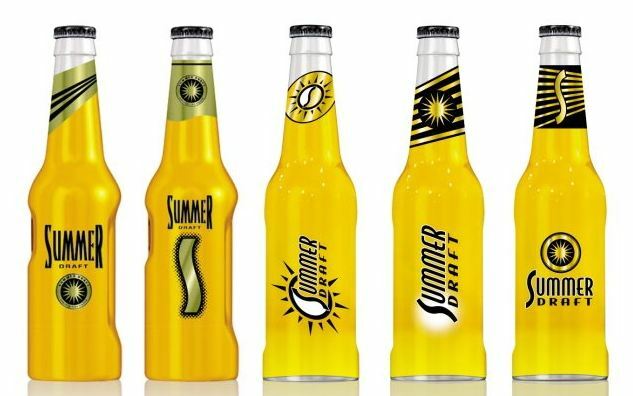 There are many kinds of alcohol that are not good with a keto diet and there are also some alcoholic drinks that are quite okay when on a keto diet. You can however not drink alcohol on a regular basis if you want to loose weight since it impacts your weight loss progress. When combining keto and alcohol there are some items that are better than others. Try to stick with the hard alcohol such as whiskey or vodka. A glass of dry wine can also be fine some times. Most mixed drinks that you buy out on a club usually contain sugar and are not allowed on a keto diet. You also need to stay away from beer since most beer contain a high amount of carbohydrates. You can usually check the ingredients on the bottles you buy in the store and see that quite quickly you would reach a high amount of carbohydrates. Keto and alcohol, why do they not mix? When the alcohol reaches your body there is no mechanism to store the energy that is in alcohol so the body will metabolize the calories in alcohol before it uses any other energy sources. This means that instead of metabolizing fat the body will be working on the alcohol. It will not put you out of ketosis but heavily delay your weight loss results. 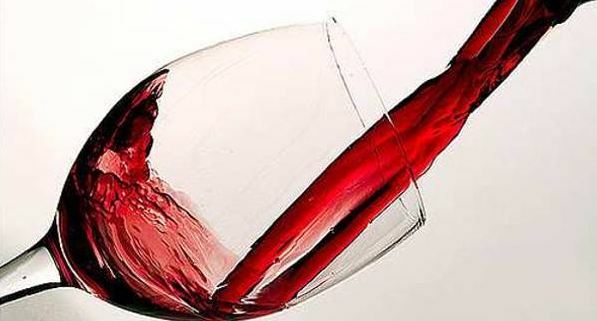 The calories are based on a normal serving of wine which is calculated as 5oz or 1.5dL. The calories are based on a normal serving of beer which is calculated at 12oz or 3.5dL. In general normal beer will contain too many calories so those you have to avoid completely. There are however some light beer that you can drink on keto. The calories are based on a normal serving of hard alcohol which is calculated at 2oz or 0.6dL. You can mix all kinds of hard liquor with either water, club soda or diet soda to keep the 0g carbohydrates. Do not mix with tonic water since it contains sugar. Most drinks and liquor mixers contain sugar so you need to avoid those completely. If you are very strict with your keto diet you should not mix keto and alcohol at all to ensure maximum effect of your diet. 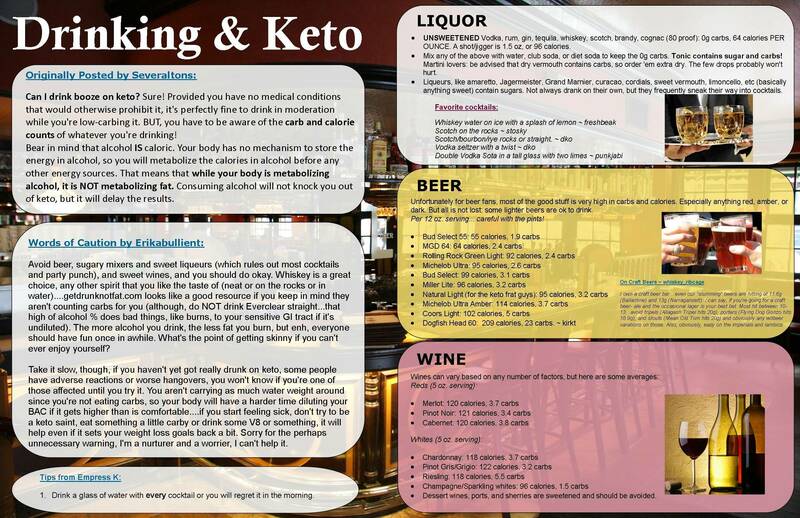 If you are looking for additional information on keto and alcohol you can also check out this fact sheet. 3 Responses to "Keto and alcohol, are they a good mix?"